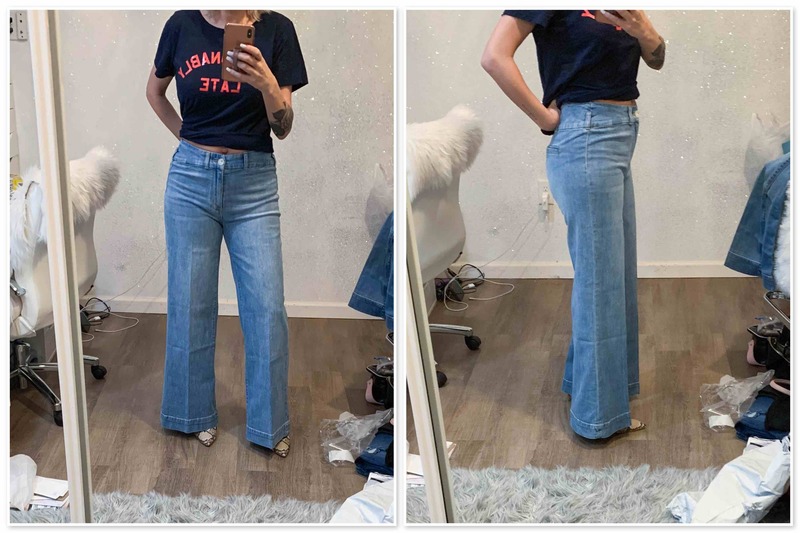 So one of the biggest problems I have with flares and wide-leg jeans is the shoe situation. I’m 5’4″, so I’m kind of right on that line where petite is sometimes too short and regular is sometimes too long. I can’t wear both heels and flats with the same inseam . . . but for now I’m going to stick with heels because they give a more flattering silhouette with wide-leg pants In this case I tried each pair on with the same pair of shoes so the length was consistent. 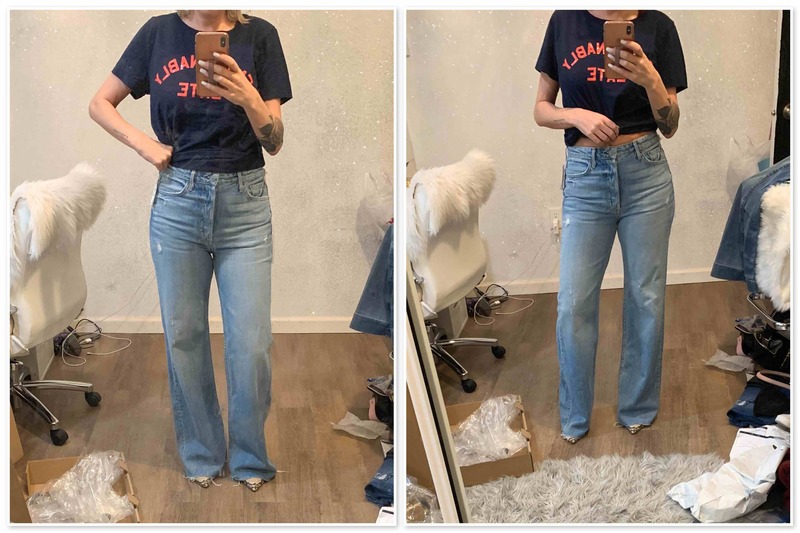 I wasn’t sure if there was a huge difference between the regular and petite size (since the regular size comes in three lengths) so I tried them both. In this case, I didn’t like the length. I felt like these were too short but not in a deliberate enough way. I also didn’t like that these were “high-rise” but felt much more like mid-rise. They went back — on to the regular size. These are my regular size 6’s in the regular length (short is 30.5″, petite is 30.75″, regular is 33.5″ and long is 35.5″). They’re just a bit too long as is, so I could try to throw them in the washer and dryer to shrink them up a bit, but I didn’t love them enough to keep them. They went back too. These fit really well and felt more like trouser jeans thanks to the back pockets and curved waistband. The length of the petites was perfect with heels, but they might be a bit long with flats. They’re more structured, so I feel like they’d be perfect for a casual office — add a blazer and you’re set! OK, these made me see why spending a bit more on denim is worth it. Sometimes you really do get what you pay for…and these? Feel amazing. So incredibly soft even though there’s no elastane in them (unlike most of the jeggings in my closet). They’re like rigid denim that’s also super-soft if that makes sense? I loved the way they fit, the way they felt . . . almost everything except for the length. These didn’t come in a petite or short length, but they should be easy to cut since the hem is already undone. They’re supposed to be snug, and I found that they fit true to size (went with my usual 28). Meet Scotti, the contributor with our most-loved beauty advice. When Scotti's not giving us the scoop on the latest products and techniques she's dishing out some of TME's most loved looks. It's not easy to look so cute in the U.P. of Michigan (i.e. crazy cold and snow) but she always makes it happen. 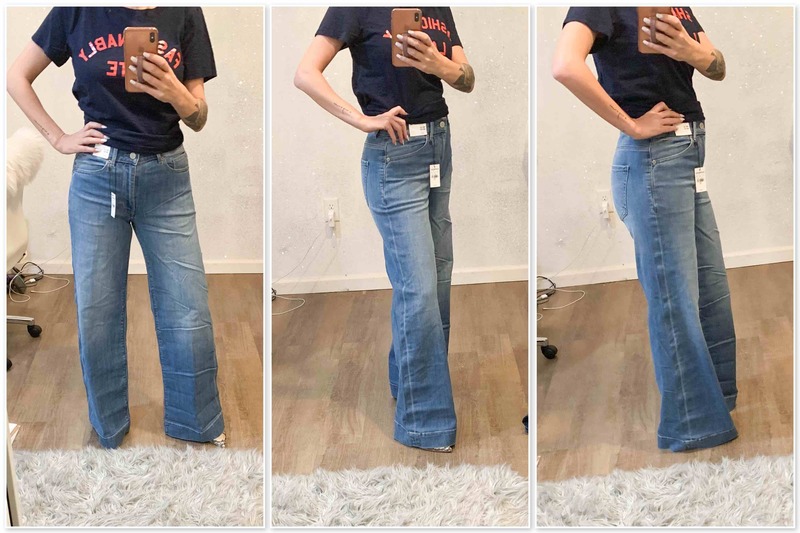 Wow those GRLFRND jeans are really great looking on you – in fact the pics of you wearing them make me want to buy them whereas the pics on the Nordstrom website do nothing to make me want to buy them. Love the grlfrnd jeans on you, Scotti! I need to pick your brain here. 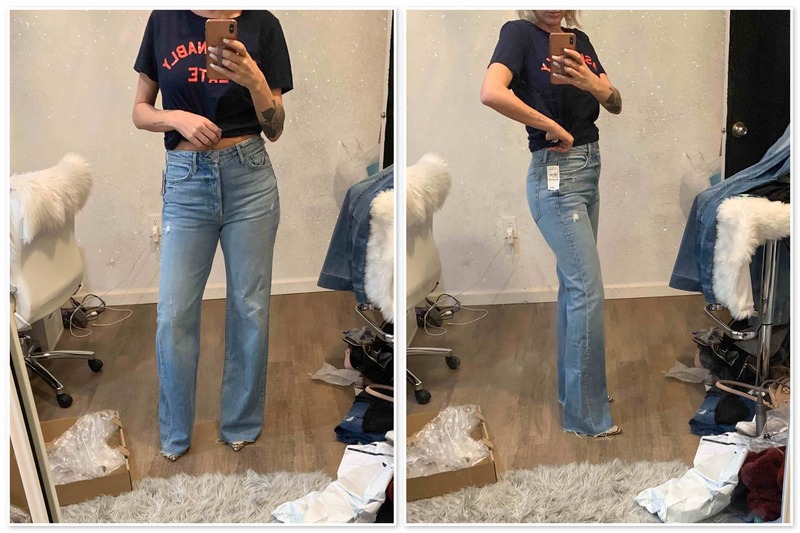 I’m just a bit taller than you at 5’5 and recently bought a pair of high waist (yes!!) 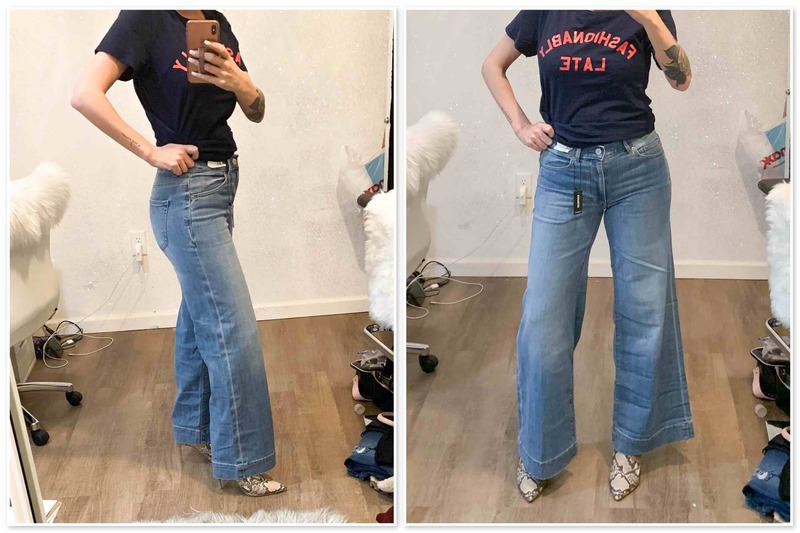 wide leg jeans. I bought the short inseam because I want to wear them with flats. At first I thought it was a perfect length, no dragging, but then I started to overthink it – maybe they’re too short? Less vintage cool and more 2000’s skater girl? So my question to you is what is the ideal length of a wide leg pant when you’re wearing it with pants. Where should they fall? Ooops – ideal length to wear with FLATS not pants. Have you ever thought about adding in a cost criteria? The Express one’s weren’t great, but for the price difference… That’s another thing all together. Especially if you want to try out the trend before INVESTING in it. Because I do understand the value of great clothing. PS you are looking great! I can’t believe you had two kids. Yah mine fall below my ankle but are maybe half an inch from the ground (no dragging). Ah decisions decisions! Scotti—you look FABULOUS!! 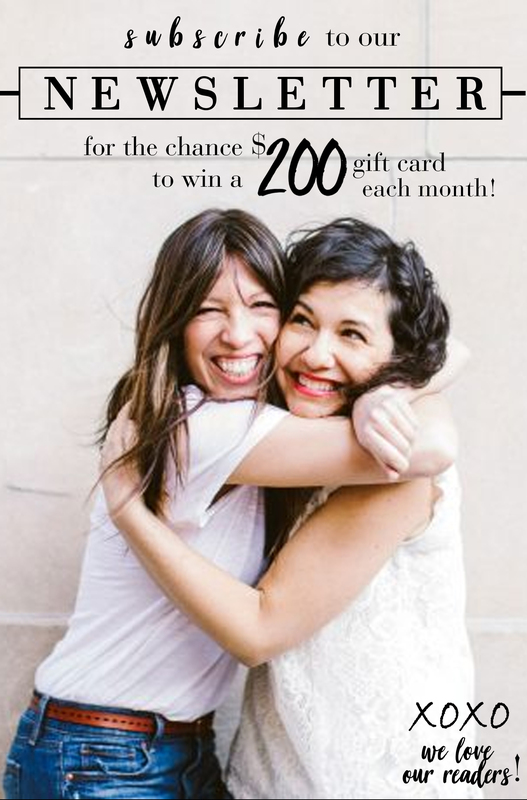 Those Carla wide leg jeans were made for you—and I hope ME! Pricey, but once again….I’m feeling the need to break the bank! 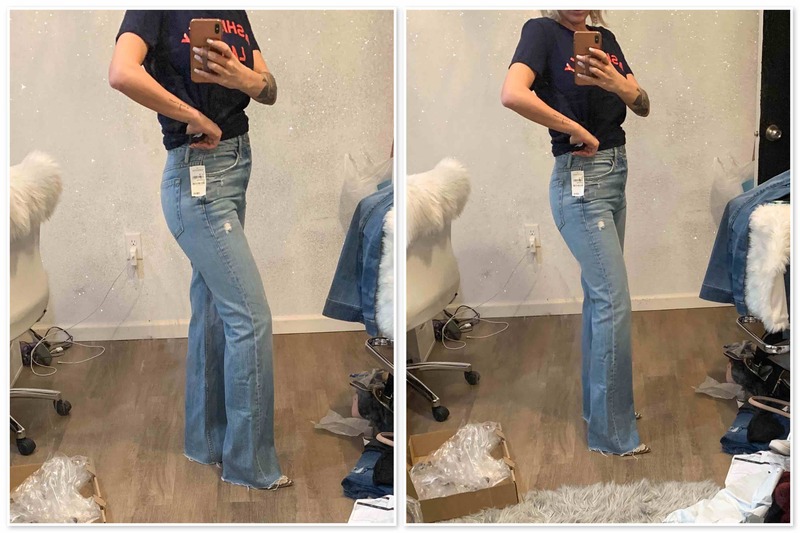 I just bought a pair of Seven Josefina slim girlfriend jeans–if you like the AE tomgirl, you will worship these—they run big, size down 2 sizes. 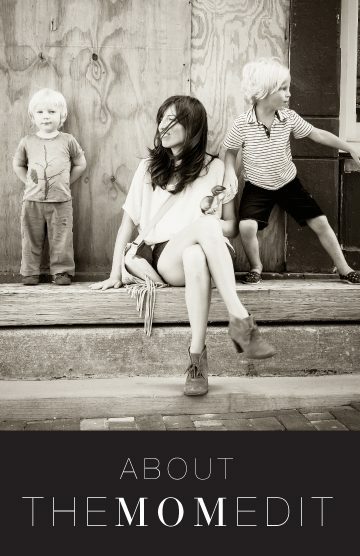 My second pair–can’t live without them, but now a stroll to nordstrom.com for the wide leg GRLFRND. Thank you! Based on this, I bought those GRLFRND jeans and I LOVE them. Worth the price! Thank you.